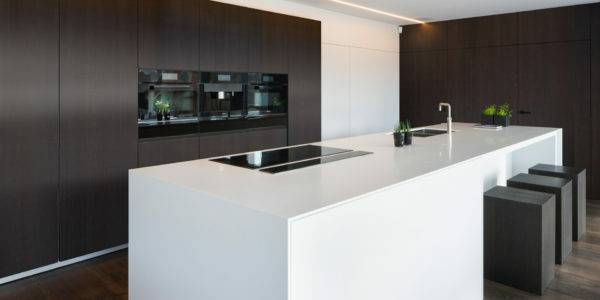 Thanks to our proprietary mixmatch technique and our years of experience in product finishing, Shinnoki panels guarantee a continuous look without significant visual interruptions and color consistency throughout your entire project. Shinnoki is a complete program including matching panels, veneers and edgebanding all quickly available from stock in 16 timely colors. Shinnoki prefinished panels are made up of a top layer of veneer, an 18mm – 11/16” MDF core and a balance layer on the back for stability. 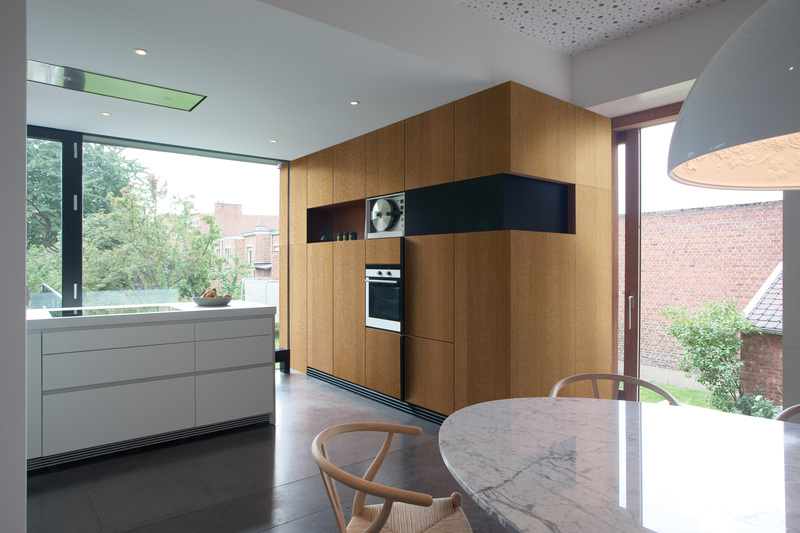 This range of wood veneered panels does not need any further finishing. There is almost no limit to the ways it can be used – from kitchens to wardrobes in the home market, and from offices to bars or restaurant furnishings in the project market. These panels are finished the same way on both sides with the Shinnoki design and protection technology. They come with a transparent foil layer to protect the boards during transportation and handling that is simple to remove. For application where only one side of the panel is constantly visible, the single-sided Shinnoki panels are a great cost-effective alternative. These boards are finished on one side with the Shinnoki design. To guarantee the stability, a balance veneer is needed. 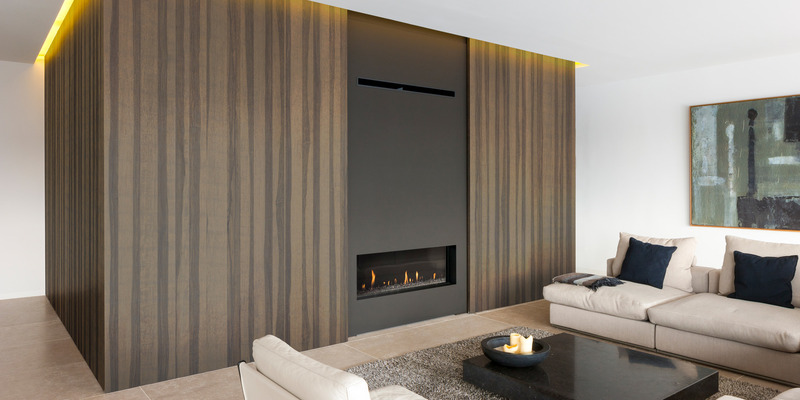 We chose for a technical veneer which is stained and lacquered to be a reasonably matching balancer pertaining to the front side. Both sides have a protective foil which is easy to remove. 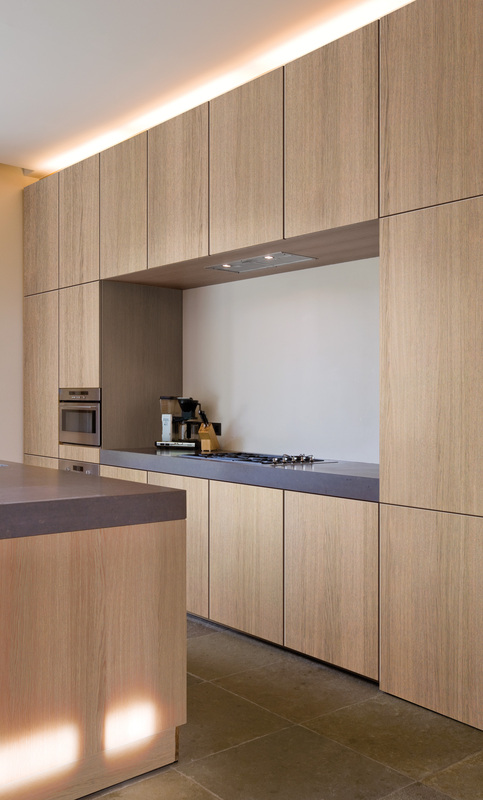 Shinnoki prefinished veneered laminates are made up of stained and lacquered real wood veneers laminated to a paper impregnated with a phenolic resin. The result is a firm but still flexible product that can be applied as easy as a HPL decorative laminate. They are ideal for applications such as interior doors and where specific substrates are required and thus a perfect complement to Shinnoki panels. 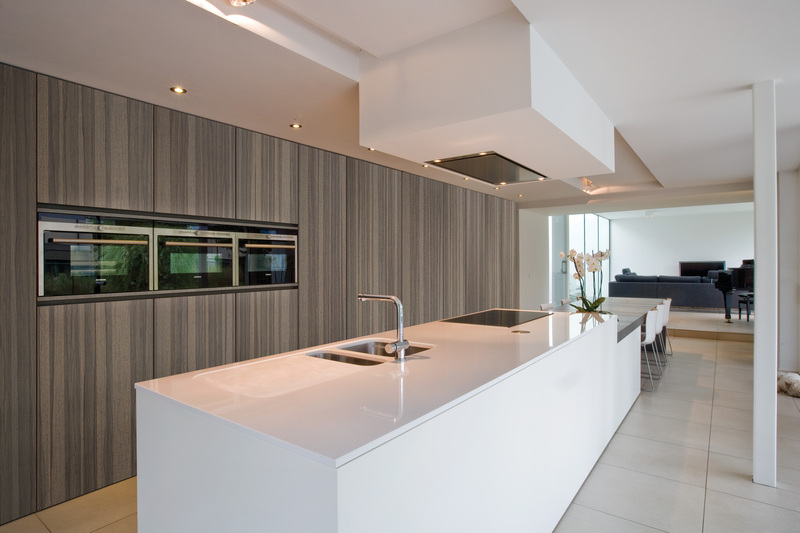 For seamless edge finishing, you can rely on our range of prefinished edge bandings in various colours and styles. There are both ABS strips and veneer strips available. The veneered edges guarantee a refined finish while the ABS one ideal for applications with intensive use. Composition: top layer of real wood veneer stained and protected with six layers of UV cured acrylate urethane lacquer, applied sequentially by means of a rolling technique and intermediate curing; a core of HDF with high density of 730kg m³ and a backing layer of veneer. The double-sided panels are both sides equally finished with the design Shinnoki. The single-sided panels have a backing of technical veneer which is stained and lacquered to ensure a reasonably match with the front side in order to guarantee stability as well as a perfect protection against moisture. Bonding: The HPLT-press procedure used by Decospan (High Pressure Low Temperature) guarantees the best quality for each panel. The bonding is done according to the DSI-method, which ensures complete saturation of the wood fibers and tightens the top layer to a large extent. Packaging: Single-sided Shinnoki panels: 25 panels per pack, with the top panel upside down and protected with a cardboard cover sheet. Gross dimensions per pack: 2800x1250x580 mm (49.2” x 110.2” x 22.8”). Gross weight per pack: 1200 kg (2646 lbs) Double-sided Shinnoki panels: 15 panels per pack, with the top panel upside down and protected with a cardboard cover sheet. Gross dimensions per pack: 2800x1250x390mm (49.2” x 110.2” x 15.4”). Gross weight per pack: 720 kg (1587 lbs). If the stamp on the edge of the board can be read normally, the top of the board is the side with the Shinnoki design. Edgebanding: Available as prefinished, through and through colored, not pre-glued 0,6mm veneer edgebanding as well as 1 mm (1/25″) ABS edgebanding. Both options come in 24 mm (15/16″) and 48 mm (1 7/8″) height. The 0.6 mm (1/42″) veneer edgebands are wrapped per roll of 100m (328 ft). The color and structure of the ABS-edges are aligned with the Shinnoki designs. These are available per rolls of 50m (164 ft).